Originally published November 4, 2012. 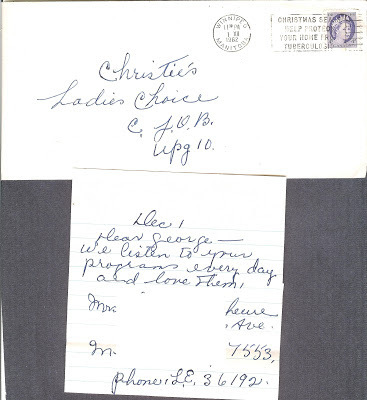 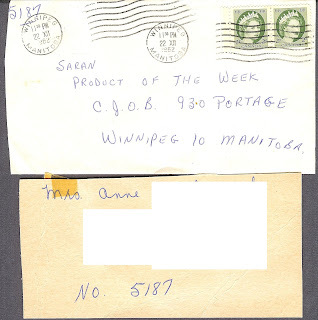 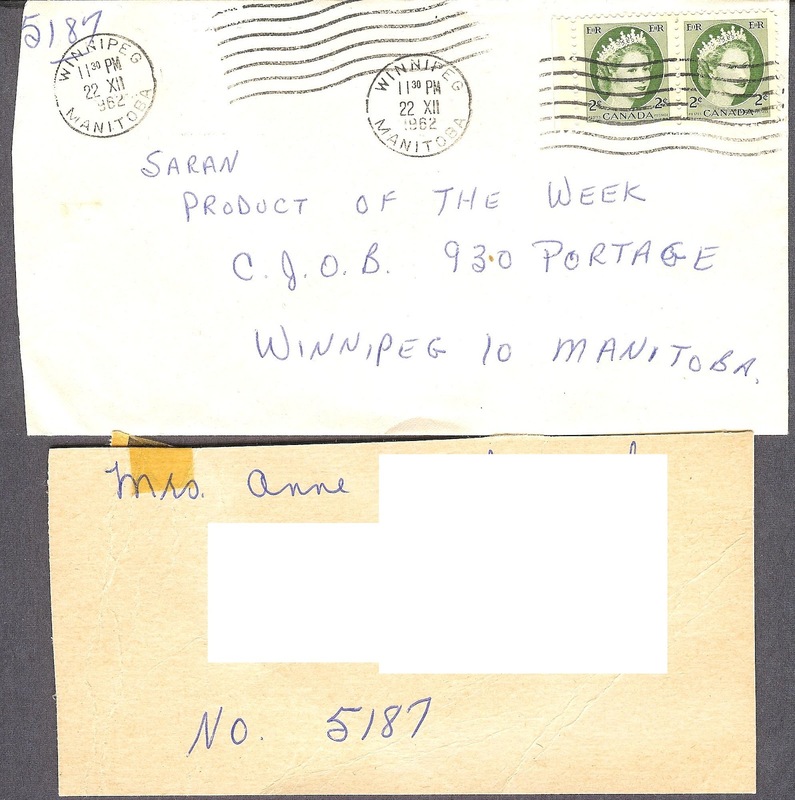 Many of us have heard a radio announcer say “Send your name and address to …” The below covers were sent to Winnipeg radio station CJOB in 1962 after hearing the announcer say something very similar. 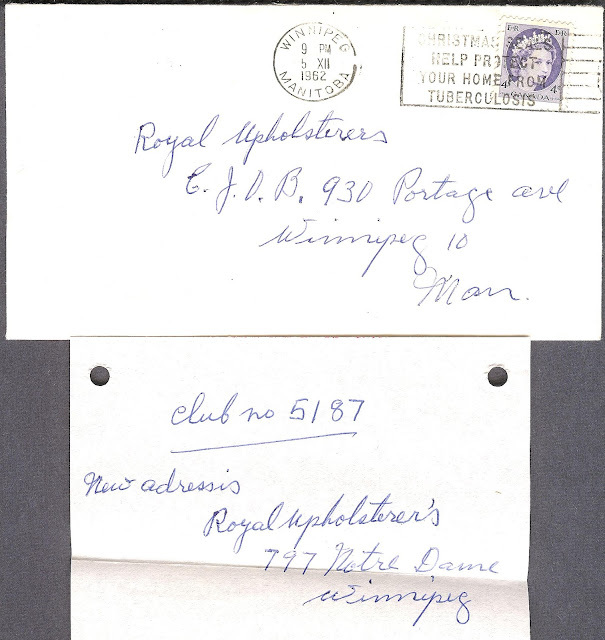 The above cover franked with a 4 cent Queen Elizabeth the Second cent covering the first class local letter rate. 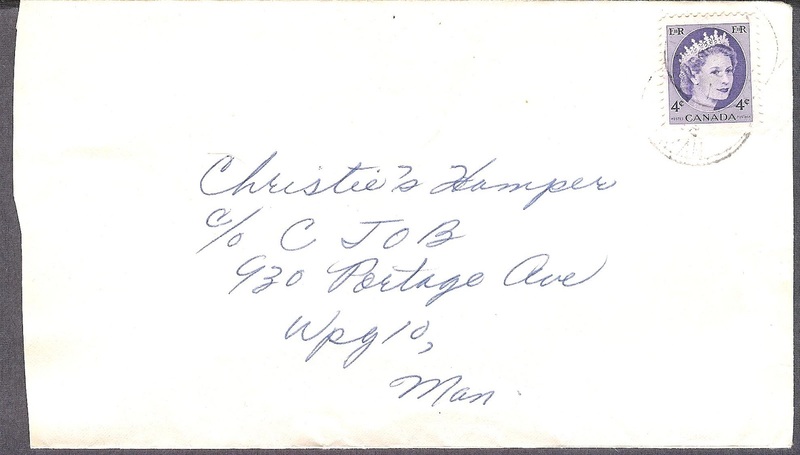 I imagine that Christie’s Hamper is much like the current hampers that people pay towards all year to have a ‘hamper’ full of food at Christmas. 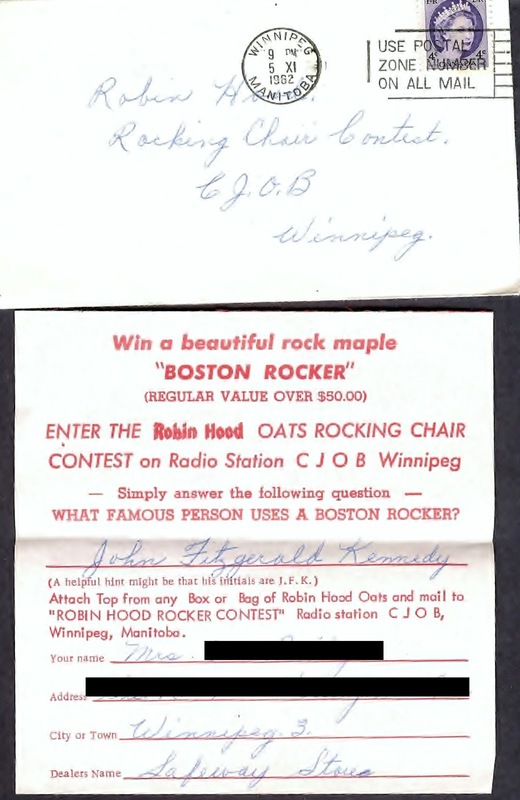 Perhaps they were giving a few away and a loyal listener wrote in hoping to win it. 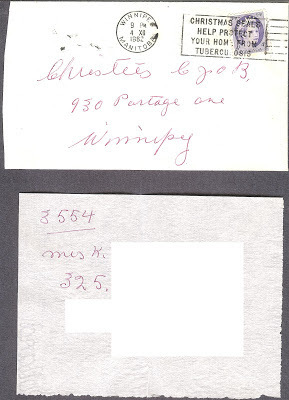 Below are a couple of other covers complete with their contents sent into Christie’s C/O CJOB. 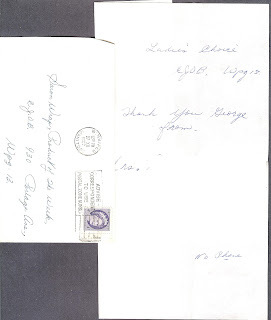 I believe the George referred to above is George McLoy who worked at the station from 1946 to 1987, an astonishing 41 years on the Air. He hosted the Ladies Choice Program.